The Colorado juvenile detention hearing is a critical stage of any criminal case for both the juvenile and the parent or legal guardian. It is then that the judge decides whether the juvenile should be held without bond, a reasonable bond be set, or the child released on his or her own recognizance into the custody of their parent or guardian or another safe placement situation. Although juvenile court is intended to be less punitive than adult court – adults actually have more rights than these children when it comes to bonding out of jail. Children can be held without bond much more easily and even when the juvenile is released, the kind of restrictions that may be placed on the child often set the child up for failure. 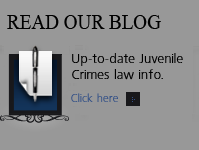 IN a nutshell – the new law requires that an incarcerated juvenile have a private lawyer (if retained) or court-appointed attorney (if the juvenile cannot afford a lawyer) at the detention hearing. The effective (start) date of the new law is November 1, 2014. If your child has been adjudicated for a juvenile crime, he or she may someday face so called unforseen “collateral” consequences for many years after the adjudication. These collateral consequences include remaining in school, financing of their education, housing opportunities, future employment, and others. 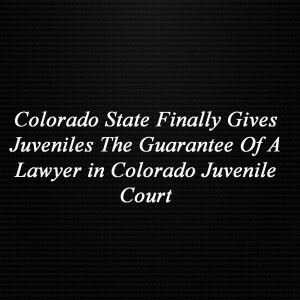 Colorado juvenile law must provide “due process” to these children while at the same time ensuring the stated goals of juvenile court which is the rehabilitative nature of the juvenile court system. Juveniles must be accorded the same procedural rights as the adults in our community. The disarming nature of Colorado’s juvenile courts often find the parents of children who are in custody and charged with serious crimes trying to quickly work things out. Accepting the District Attorney’s first offer under the stresses of that first court appearance – and waiving the juvenile’s constitutional rights – among them – the right to counsel – can be a major error in judgment. The parent or parents of a child charged in juvenile court have the “Catch 22 Dilemma of teaching their child to hold themselves accountable on the one hand and protecting their child’s constitutional rights, on the other. 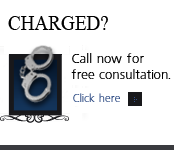 Parents cannot know – unless they are criminal defense lawyers – of all of the effects of a guilty plea and sentence for a serious juvenile crime. 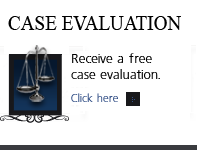 An experienced criminal defense lawyer can be very helpful in making critical decisions that can have life-long direct and collateral consequences. Children will not be appointed a Guardian ad Litem as a substitute for a defense counsel, with whom the child has a confidential attorney-client relationship. 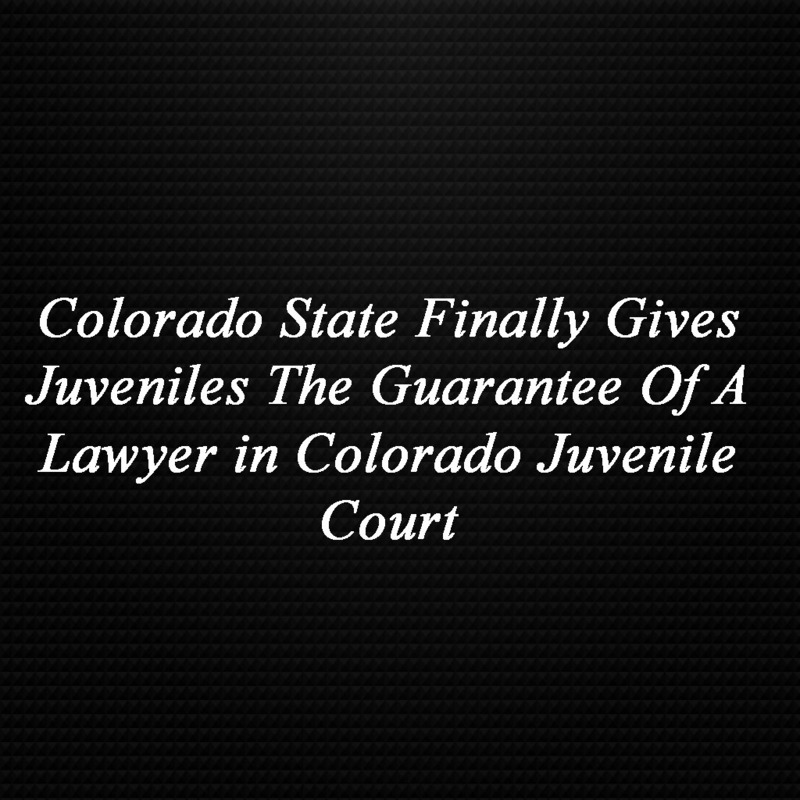 Juveniles in Colorado must have the same equal access to justice and due process that we accord adults. The right to have an unbiased lawyer working solely to protect the rights of the juvenile and nothing else means that parents or legal guardians will not have to choose between “teaching their child a lesson” and ruining their future because of the possible impact of the consequences of “working with the prosecutor” to quickly resolve a case.